From stretches of rugged coastline to a hinterland of rolling green sunswept hills lies East Lothian, the "home counties of Edinburgh" and the sunniest area of Scotland. Ideal for a rural retreat or a romantic weekend away, East Lothian is one of Scotland's most scenic regions. From the Lammermuir Hills to the Firth of Forth, it offers a great array of things-to-do for the eager visitor - from golfing in Gullane to birdwatching in North Berwick - and boasts a whole host of picturesque historic market towns like Haddington and Dunbar. 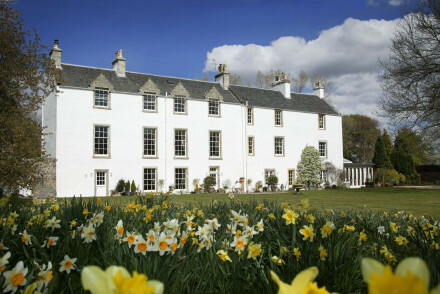 To find out more, check out our collection of the best places to stay in East Lothian. Nestling along a stretch of rugged coastline, Dunbar is a charming town with a fishing harbour and some of the best beaches in the area. Enjoying a great deal of sunshine year-round, it is the ideal starting point for hiking up John Muir's Way and boasts a fascinating castle ruin straddled along the clifftops. A quaint and quiet market town set amidst sunswept green pasture, ideal for a romantic weekend away. The farmer's market on the last Saturday of every month is a gastronomic delight, and there is plenty to see and do. The14th-century church, St. Mary's, is unbelievably beautiful and nearby is the remnants of an Iron Age fort. A scenic harbour town with some gorgeous golden beaches and a birdwatcher's paradise: boasting the world's largest Northern gannet colony, the Scottish Seabird Centre is based in-town. If you love golf and horseracing then you've come to the right place. 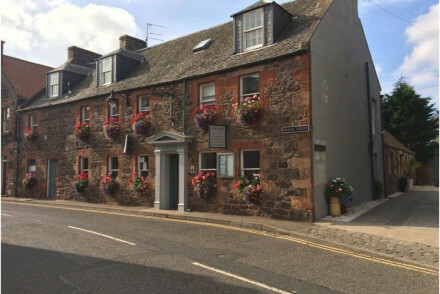 The largest town in East Lothian, it sits along a stretch of dramatic coastline and is a hub of activity - the best place to go if you're longing for an active holiday: the golf course and famous Mussleborough Racecourse are very popular, and the museum makes for a fascinating afternoon detour. A pretty sandstone town sitting along the coast, it has some amazing golf courses that face the sea. There are organisations at Gullane Bents beach which give visitors the chance to go kayaking, windsurfing or kitesurfing. Check out the Scottish Seabird Centre in North Berwick. If you're lucky, you'll be able to see the largest colony of Northern gannets! Hike through the green patchwork hills of Lannermuir and drink in the gorgeous scenery. Get yourself to the Surfschool in Belhaven Bay and try to master the raging waves! Attend the Mussleborough Racecourse and place a bet! Go to the National Museum of Flight in East Fortune and marvel at the sleek design of the concord. Explore the clifftop ruins of Tantallon or the ruins of Dunbar Castle! Take in a round of golf at the Muirfield Golf Course in Gullane. Sample the best of local produce at the Haddington Farmer's Market. This is a region with numerous attractions and due to this, its hotels can get booked up fast so in order to ensure a room at one of the best places to stay in East Lothian we recommend booking well in advance. The Crown and Kitchen: a relaxed and sumptuous restaurant with bright and contemporary rooms. An ideal base for exploring the countryside. Lethan House: an elegant country house on the outskirts of Haddington, offering traditionally-furnished rooms complete with antique furniture and roaring fireplaces. Ideal country escape for couples looking for authenticity and intimacy. 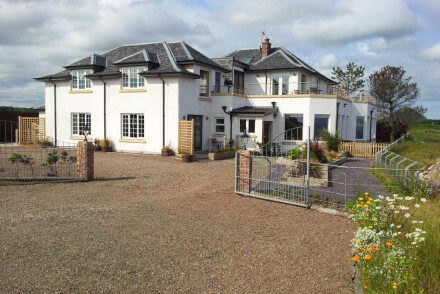 Canty Bay House: an ideal base for exploring the rugged coastline of East Lothian, this lovely B&B in North Berwick offers bright and contemporary rooms with fantastic views of the sea. Greywalls: a beautiful Edwardian townhouse boasting an award-winning restaurant, the gorgeous rooms are traditionally furnished with antiques and paintings. Located on the Muirfield Golf Course in Gullane, perfect for a golfing holiday. Golf Lodge B&B: great value for money, offering comfortable and contemporary rooms in the heart of North Berwick. Ideal for a golfing holiday. Fly to Edinburgh International Airport and get public transport (train or bus) to your destination. The sunniest region in Scotland, East Lothian is best visited in the summer, when the temperature darts between 9 and 19 degrees. Browse through our collection of Scotland's most romantic hotels. Expand your search to include the best places to stay in Scotland. The centrepiece of The Crown and Kitchen is the superb restaurant. With a relaxed ambience, it focuses on using local produce to create delicious food. Upstairs, the excellent rooms are spacious and comfortable with plush ensuite bathrooms. A great base if you are looking to exploring East Lothian. Local exploring - Situated in the heart of East Lothian, it's an ideal base for exploring the region's lovely sights and beautiful sights. Birdwatching - Birdwatchers will love a trip out to the Bass Rock. Great walks - Walk up the towering North Berwick Law. 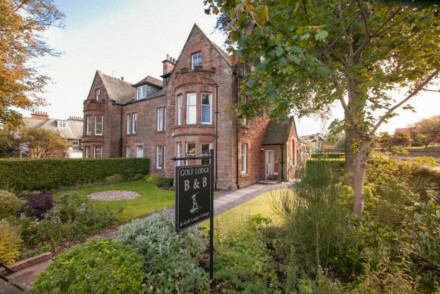 Victorian townhouse turned smart, comfortable B&B in the East Lothian town of North Berwick. The Golf Lodge B&B features four spacious, comfortable en suite rooms. The ideal base if you are looking to take on some of the region's excellent golf courses, or simply explore the coast. Local exploring - A great base from which to explore the beauty of East Lothian's coastline. Birdwatching - Bird lovers will enjoy a trip to the fascinating Bass Rock. Great walks - Go for lovely walks along North Berwick beach. Sights nearby - Take a trip to the nearby Tantallon Castle. Overlooking the intriguing Bass Rock, Canty Bay House is definitely for people looking for a room with a view. The rooms are contemporary and comfortable with lovely ensuite bathrooms. A great base for people looking to exploring East Lothian's enchanting coastline. Country Escape - Right on the beautiful coast with the Bass Rock in full view. Great walks - Go for walks along the lovely Cantay Bay, just down the road from the B&B. Sights nearby - Ten minutes walk from the impressive Tantallon Castle. A striking country house set within acres of private grounds. Lovingly restored by the owners each room is individually styled with delicate antique furniture, chandeliers, roaring fireplaces and free-standing baths. With numerous rural activities in the area this makes the perfect country escape. Country Escape - An elegant rural house in a picturesque corner of Scotland. 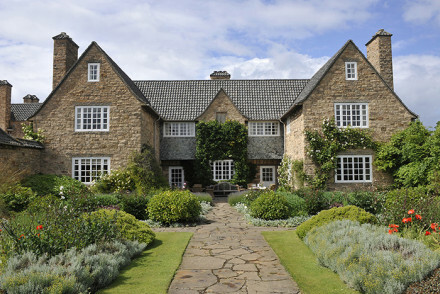 Designed by and former holiday home of Sir Edwin Lutyens. Located on the famous Muirfield golf course and perfect for an active weekend away. Rooms remain true to their Edwardian origins and are decorated in soft colours and filled with antiques. Chez Roux is an award winning restaurant. Birdwatching - At The Bass Rock watchers can see guillemot, razorbill, puffin and many more. Sights nearby - The historic Tantallon and Dirleton Castles are both close to the property. Great walks - Seacliff, Yellowcraig and Freshwater Haven have stunning coastal walks.